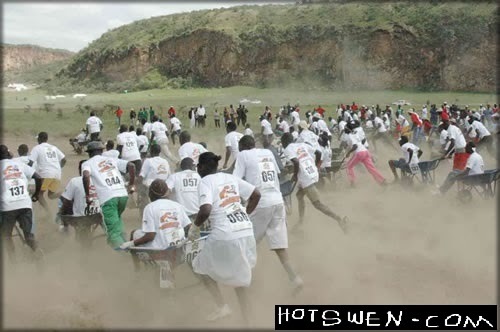 HOT SWEN : LAGOS STATE GOVERNMENT INTRODUCES WHEEL BARROW RACING COMPETITION. Governor Fashola while addressing Hot Swen correspondents said “This is something I have always wanted to introduce since I became governor and there is no better time to introduce this than on Christmas day. The APC has applauded this initiative of the Lagos State government and urges all state governors across Nigeria to follow suit.